Will you have enough? Why Critical Illness is an important part of retirement planning. You are here: Home › Turning Points › Will you have enough? Why Critical Illness is an important part of retirement planning. Critical Illness is a fundamental component to a sound financial plan. What may take years upon years to accumulate could easily be lost as a result of not planning appropriately. You’ve done all the right things. Both your husband, 41, and yourself, 40, have religiously contributed to your RRSPs. You’ve both managed to tuck away $160,000 so far. While you’re currently living the dream – great job, young child, a house and mortgage – you have even bigger dreams for your retirement. You may even have put life insurance in place to protect your family in the event of your premature death to protect your biggest asset – your ability to earn income while your still working. Then comes the wrench to all your plans: your husband is diagnosed with prostate cancer. He decides to take a leave of absence from work to focus on his treatment and the inevitable recovery. It is going to be a long and arduous process. In fact, so aggressive is the treatment plan he is going to be off work for a minimum of 7-8 months. You’re not even the breadwinner for the family and you too suffer a dip in income as a result of being your husband’s primary caregiver. Your husband’s doctor has just recommended a treatment plan that isn’t covered by your coverage, and you’re not sure where to get the funds. Your only choice is to withdraw from your RRSPs. Based on your husband and your calculation you’ll need at least $100,000 in order to get the treatment he needs. As a result of both of you having good paying jobs your marginal tax rate is 46%. Thus, even if you were to withdraw the entire $160,000 from your registered account, you’d only net $86,400. Not only is it not enough since your short $13,600, you now have $0 in life savings. The impact of a critical illness on a family is devastating. 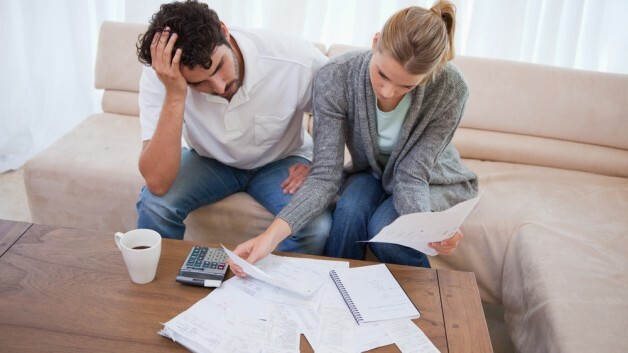 Many of the projections made when you first setup the RRSP account didn’t take into account the many expenses that arise when one of you suffers a critical illness such as a stroke or cancer. Moreover, by depleting your life savings the financial impact is increasingly devastating when you’ve factored in the loss of all potential growth of your investment. Even at a modest 6% rate of return, that $160,000 RRSP balance in 20 years would have been worth $513,141. 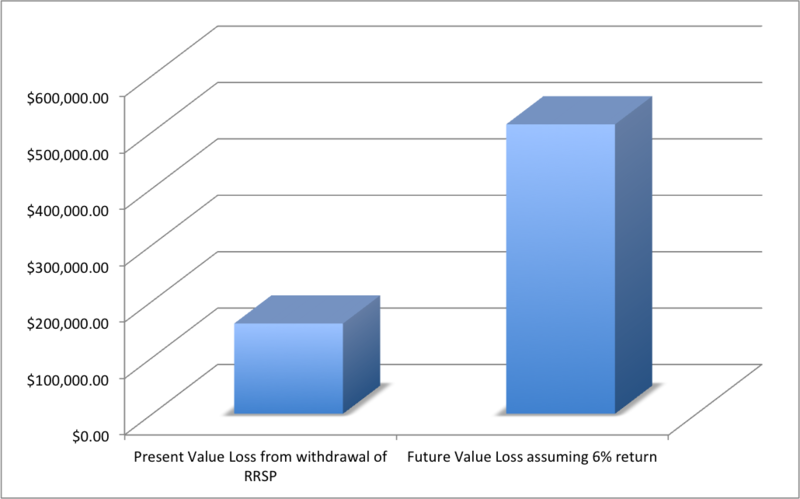 To summarize, not planning appropriately and using your RRSP savings to fund your treatment and recovery will result in loss of savings, loss of growth on those savings, and at the end of the day may not even be enough. 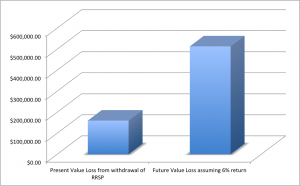 The loss of your retirement savings can be avoided all together with proper planning. Critical Illness insurance provides a tax-free lump sum benefit upon diagnosis of a critical illness. Most critical illness policies will cover the big 4 (heart attack, stroke, cancer, and coronary bypass) and most modern policies will cover up to 20+ critical illnesses and life altering conditions. You might even decide to add a feature to your policy to protect the premiums you pay such that if you were to never require having to make a critical illness claim you can opt to receive all the premiums refunded back to you. If you’re like many who’ve made the wise decision to protect your family in the event of premature death, it really makes perfect sense why you should protect your savings and income by adding critical illness to your financial plan. The information in this document is for general information purposes only and is not to be construed as providing legal, tax, financial or professional advice. Liland Insurance Inc. assumes no responsibility for any reliance made on or misuse or omissions of the information contained in this document. Please seek professional advice before making any decision. If you have any questions about this article or would like the assistance of one of our licensed professionals, please call us at 1.416.759.5453 or email us at info@lilandinsurance.com. Support the victims of Typhoon Haiyan.